*Occidental Nuevo Vallarta is located by Banderas Bay, in the Riviera Nayarit. *1.6 miles away from the Nuevo Vallarta Marina. *9.6 miles away from Puerto Vallarta. *1.7 miles away from the Vidanta Golf Nayar golf course. *5.6 miles away from the Flamingos Bucerias golf club. *328 yards away from the Paradise Shopping Center. *547 yards away from the Paraside Village Convention Center. *Steps away from El Tigre golf course. *8 miles south of Bucerias. *11.2 miles from Cruz de Huanacaxtle. *21.1 miles from Punta de Mita. 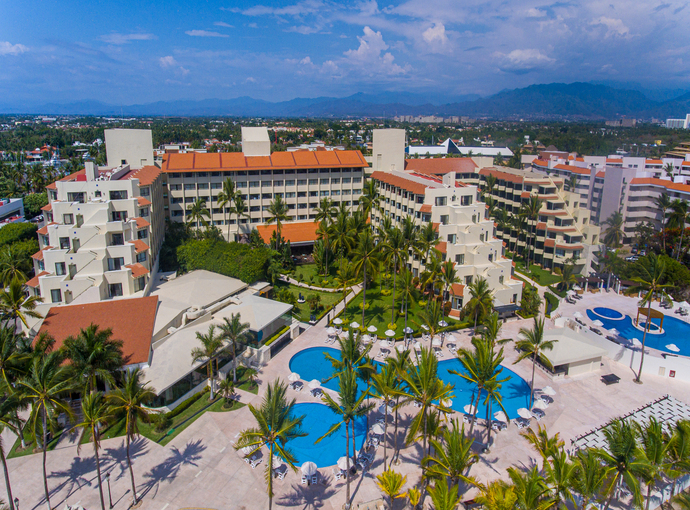 *25 minutes from the Puerto Vallarta International Airport.